Redefining Investment Strategy Education (R.I.S.E) is the world’s largest student investment forum. 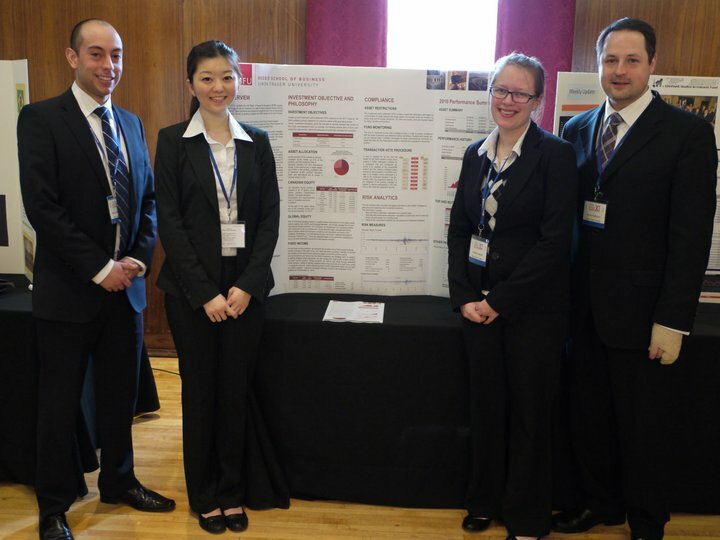 Four students from the Master of Financial Risk Management program, Milton-Andres Bernal, Amy Lin, Simon Hutchison and Christine Jakshoj represented Simon Fraser University’s Beedie School of Business at the 11th annual conference (R.I.S.E XI), held in Dayton, Ohio from March 31 to April 2, 2011. R.I.S.E embraces the format of the World Economic Forum, annually held in Davos, Switzerland that delivers three key components: keynote sessions, learning workshops, and a student investment fund competition. It emphasizes an interactive dialogue between the students and leading business professionals who conduct panel discussions and informal presentations. With the help of many participants and sponsors, such as Merrill Lynch, BlackRock, Wall Street Journal, CFA institute, JP Morgan Chase, Bloomberg, Citigroup, Credit Suisse, Federal Reserve Bank of Cleveland, Morgan Stanley, Goldman Sachs, Deloitte & Touche LLP and more. There were more than 300 industry professionals present at the conference to share their experiences with the students. The first day of the conference was entirely devoted to the keynote speakers who discussed the markets, socially responsible investing, Federal Reserve perspective, risk management, the economy, and teamwork. 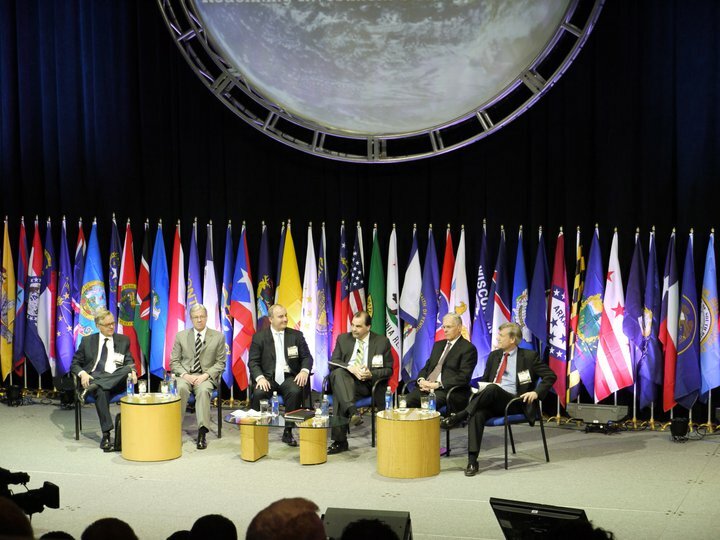 Each keynote speaker was given an open floor to start the debate about the panel’s specific issue. To conclude each discussion session, the students lead the direction of each panel through a fluid exchange of ideas and questions. The experience and educational background of the keynote speakers was stunning. These esteemed panelists from leading firms included Co-Founders, Managing Partners, Managing and Deputy Directors, Executive/Senior VPs, Presidents & CEOs, CIOs, Risk Managers and Investment Strategists. The Executive VP and Chief Policy Officer of the Federal Reserve Bank of Cleveland was also present to discuss the perspectives of US policy and law on finance. After the financial crisis of 2008, it was important, as well as interesting to learn about new regulations and their global influences on financial markets. The professionals were not only unanimously knowledgeable, intelligent, professional, and friendly but also very eager and enthusiastic to teach and to interact with the students. 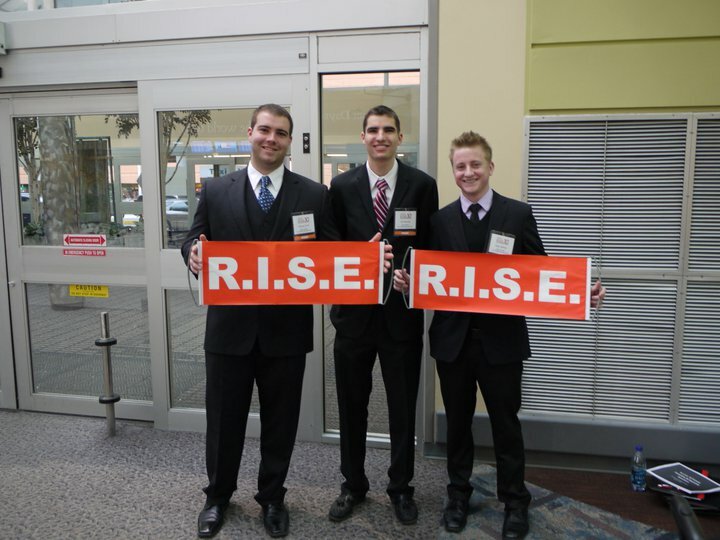 The learning experience at R.I.S.E was definitely an once-in-a-lifetime opportunity and we took copious notes throughout. We learned to interact and socialize with industry leaders in a professional manner to build networks and raise awareness and recognition for SFU within the industry. These workshops opened our eyes to understand and discover not only the different perspectives and perceptions that exist in the roles of capital markets in society, but also the importance of interaction and communication that brings the market together to work efficiently. The knowledge that we gained from the workshops is not something that we would expect to find in typical textbooks; it’s akin to the conclusion of a thesis many years in development. It was an amazing opportunity to learn from the best and brightest and to develop relationships with them. At the R.I.S.E. conference, our SFU Beedie student-run fund called the Student Investment Advisory Service (SIAS) Fund was selected to advance to the final round of the competition. The award was the opportunity to present SIAS in front of a panel of industry professionals who would judge our presentation and overall management effectiveness, and submit feedback via mail. The competition as a whole gathered over 40 student-run investment funds from North America to compete. Winners within different investment styles were chosen purely on a risk-adjusted return basis. Under that metric, the SIAS Fund came in second in the balanced fund division, a mere 30bps short of victory. It soon became evident that the SIAS Fund is one of the very best run funds in the continent. The judging panel confided in us afterwards that our presentation was “easily the best” of the day. What differentiated SIAS from the crowd was not only our use of Compliance/Performance and Risk Metrics teams and existence of a comprehensive IPS, but also our level of professionalism, dedication, passion, and knowledge of our portfolio and industry. At the presentation, the judges were very interested in learning more about our fund that we were kept for 20 minutes beyond the time limit answering all of their questions. At the fund networking event, students, professors, academic members, and industry professionals surrounded our large board display to ask us questions and gain understanding of our fund structure, management, and investment procedures. We passed out display flyers, research books, program brochures, student profile books and business cards. The Dean of Business from the University of Dayton even extended a heartfelt request to reach out to SFU and our own Dean for a collaborative relationship to be formed. The response and feedback on our contribution at R.I.S.E was very encouraging, as many people had positive things to say regarding SIAS, SFU, our team, and the general ability of Canadian business students. Sending student (and perhaps also faculty) representatives annually to R.I.S.E. would offer a tremendous opportunity for SFU and selected students to connect with academics and industry professionals. One of our judging panel members, Mr. Brian Stype, Manager of the Global Investment Research Challenge at the CFA Institute, caught the attention of Professor Derek Yee at the CFA Global Investment Research Challenge the following week in Omaha, Nebraska. Professor Yee said that he had many positive comments about SFU and our team, and helped Professor Yee make connections and contacts at the event. The SFU Beedie School of Business SIAS Fund is one of the largest student-run investment fund in Canada at well over $10 million. It is also one of the best-run funds across the country. What differentiates SIAS from the crowd is our use of a Compliance/Performance team, Risk Metrics, and our comprehensive IPS. Even with these stringent constraints, SIAS placed second in the Balanced Fund division, based on a risk-adjusted return of 4.03%. The response was encouraging; many people had positive things to say regarding SIAS, SFU, and Canadian students in general. We look forward to seeing the SIAS Fund continue to grow and compete again in the R.I.S.E. student investment fund competition next year. Next story Chile – So far so good! The main advantage is the exposure and networking opportunity with local and international academics and industry professionals and like minded students in the investment industry from many different universities and companies. One of the simplest things you can do to help ensure your success is to be prepared for what lies ahead. Always do your research! I’ve been thinking about going to SFU for their MFRM program..
I’m still waiting for the advantages that I can get.. ?? hmm,. What are the advantages of joining this? I’m a little bit interested in this investment thing.